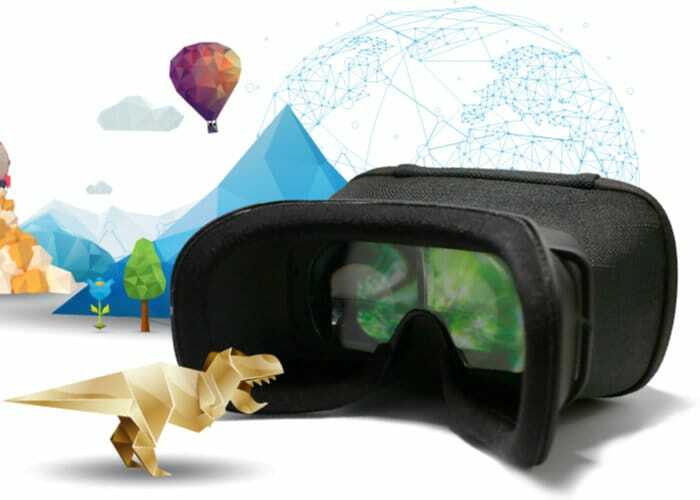 If the new Magic Leap augmented reality headset is a little expensive for your tastes you may be interested in a new device created by MovieMask called MagiMask. Which is this week launched via Kickstarter and is now available to early bird backers priced from $79. If all goes well worldwide shipping is expected to take place early in 2019, but don’t delay as early bird pledges are limited to just 300 backers. Watch the demonstration video below to learn more about the immersive augmented reality headset designed to be used with a smartphone, yet includes physical trackers that let you interact with the digital world. Created by a development team based in Oslo, Norway the MagiMask headset offers sharp image quality at an affordable price. “The MagiTools are specially designed to make the transition between our reality and augmented reality as natural as possible. Reaching out to get to know more about an object is an ultimate path of least resistance, thus letting the user to immerse themselves in your experience. The patterns of MagiTools have been optimised through several iterations to be best understood by the image recognition software. We will also give all the developers access to our code in order to enable easy interactions with the MagiTools, e.g. by using the dice as a controller, and so forth. Thanks to Manomotion, we are now also able to control technology with our hands. It is one step closer to Iron Man studio and a more accessible HoloLens. With Manomotion’s SDK you can create applications where your hand movements are recognised by the camera on your phone. You can get your SDK (working for iOS, Android and Unity) here: https://www.manomotion.com/getstarted”.